A fairy tale of your own style, the Bridesmaid Sammy tulle multi-way dress is a perfect option for all bridal parties. Feminine and flattering, designed with a lightweight tulle and structured bodice that allows you to change the look any which way you feel. Mix and match the pretty pastel shades for a truly magical wedding. With a soft flowing skirt, raw edge hem and invisible zip back for a smooth closure and seamless finish. Designed for the versatile bridesmaids party, mix and match with the Paris gown for a modern look. 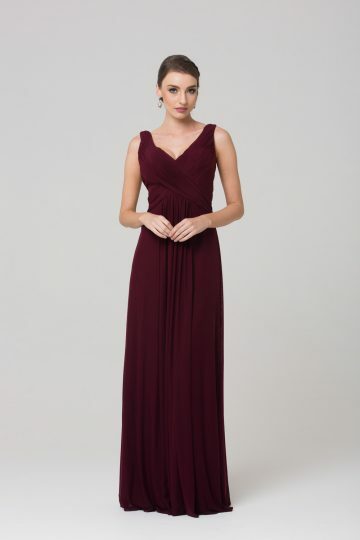 The gorgeous Sammy multi-way tulle dress also makes it a beautiful formal, or evening gown. The gowns cut and design is flattering to a variety of shapes and sizes (6-30). To identify your size see your nearest Tania Olsen Designs stockist and they will correctly measure you and assist with selecting your size.